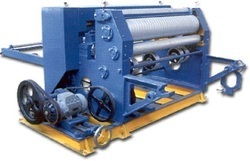 We are one of the renowned manufacturers of Corrugated Box Packaging Machine from Mumbai, Maharashtra, India. 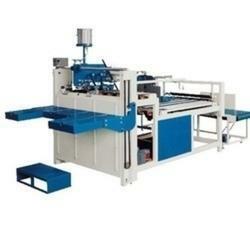 We supply Corrugated Box Packaging Machine in all parts of world. 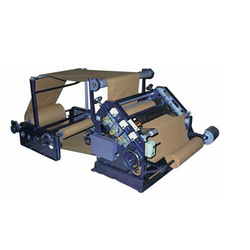 We manufacturers and export Corrugated Box Packaging Machine, Corrugated Box machine, Box Packaging Machine. 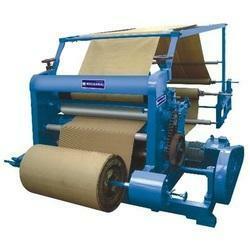 We are one of the leading manufacturers and exports of Paper Corrugating Machine from Mumbai, Maharashtra, India. 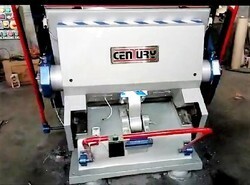 We are one of the leading manufacturers of Rotary Sheet Cutter from Mumbai, Maharashtra, India. 52 in. P.I.V. Gear Box is fitted for required cutting length setting. 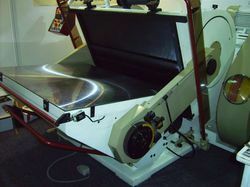 This setting is always to set in running machine only. 2 Ply in size ready. Leveraging on our proficient and industrious workforce and technology, we have witnessed towering growth and success. Our stringent quality parameters have broadened our spectrum not only in the domestic arena but also internationally. 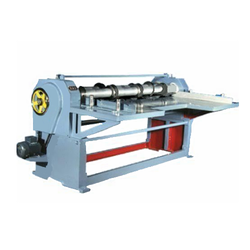 We are engaged in the production of various printing, stationery and others such as Stamping Machine, Stamping Embossing Machine, Industrial Cutting Machine, Carton Die Cutting Machine, Hot Foil Stamping Carton, Sticker Cutting, Fancy Precise Boxes, Mono Carton Cutting & Creasing Hot Foil Stamping Machinery, Carton Punching & Creasing for offset & Corrugated Box Industry, Corrugated Boxes Extra Heavy Duty Die Platen Punching Press and Jumbo Platen Punching Heavy Duty Corrugated Boxes that finds extensive application in packaging industry. Flawless quality of these products has assisted us in acquiring a wide clientele across the globe such as in USA, Gulf and European countries. Our ability to offer customization for our entire range broadens our list of clientele.